A ferret is a small, furry creature with a cone-shaped nose, long tail and a long, pear-shaped body with short legs and long claws. Ferrets are related to wolverines, ermines, minks, and weasels in the Mustela genus. They are popular, though often controversial, pets. Experts think they were bred more than 2,500 years ago from either European polecats (Mustela putorius) or steppe polecats (Mustela eversmanii). These polecats should not be confused with skunks, which are sometimes colloquially called polecats. New Zealand's regulations on ferrets and ferret owners are ultimately intended to make pet ferrets, and all ferrets, extinct in New Zealand. 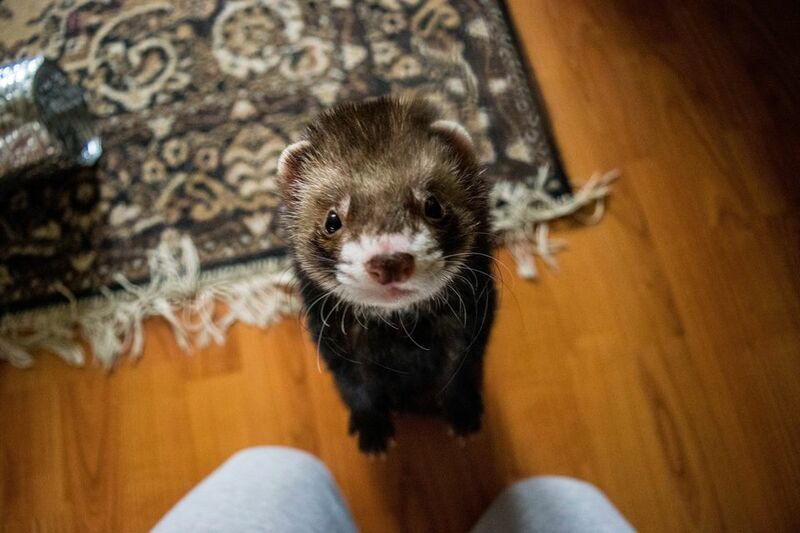 In the past, a license was required to breed or sell ferrets or to keep more than 3 ferrets as pets (there were also some localized restrictions on ferret ownership). Under new regulations, owners will be able to keep their current ferrets. However, it will be illegal for ferrets to be "bought, sold or bred." Existing farms that sell ferrets overseas will be exempted and allowed to continue overseas sales (no ferrets are to be sold in New Zealand), and no new farms will be allowed. With the breeding and selling of ferrets stopped there will theoretically be a decline in the population of pet ferrets to zero over the next several years. The reason for the ban is the unique nature of the native New Zealand wildlife population - many flightless birds are on the verge of extinction and wild populations of ferrets are contributing to the decline. According to the Department of Conservation's discussion paper, ferrets (along with stoats and weasels) were introduced into the wild in New Zealand over a hundred years ago to control rabbits. The native wildlife, especially flightless birds such as the kakapo and kiwi, couldn't cope with these agile new predators. Also, ferret farming (for their fur) became popular late last century, and escapees from the farms contributed to the wild population, expanding their range. The government has thus banned pet ferrets as part of its effort to eradicate them. There is little question that New Zealand's unique wildlife is in need of serious conservation measures, as the loss of any species is devastating. Why Are Ferrets Banned in New York City?